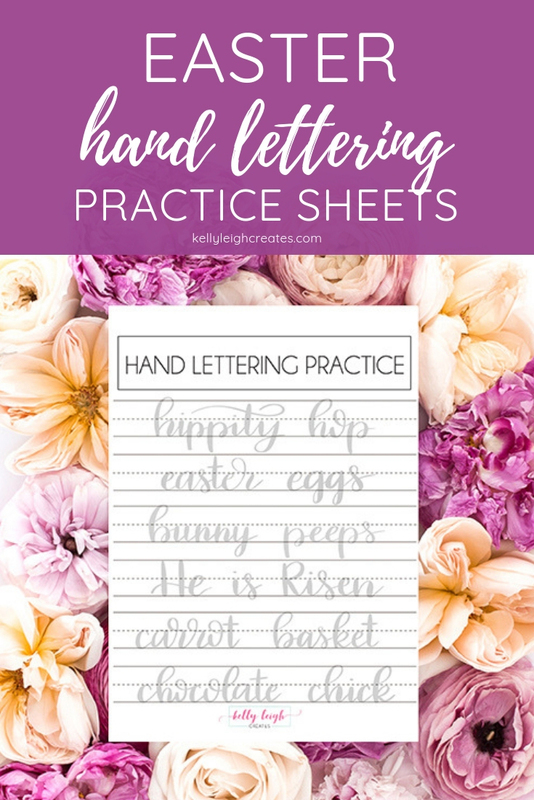 These Easter hand lettering practice sheets make hand lettering easy so you can create the perfect Easter decor or hand-lettered card. Use them to get started in hand lettering or to brush up on your skills. Easter is right around the corner! And with another holiday comes another set of hand lettering practice sheets. Practice your lettering and then use your skills to create a hand-lettered card, printable decor or even design customized clothing for kids. 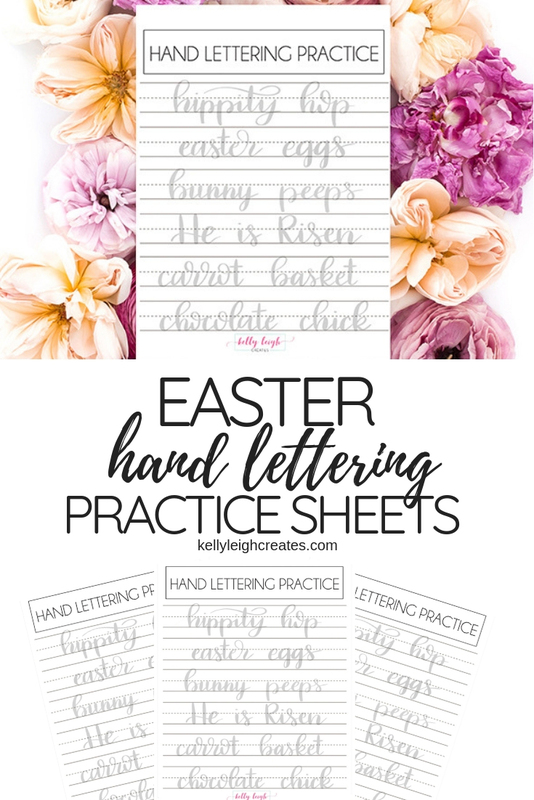 Hand lettering is not as hard as it looks and I’m here to show you how to do it with these Easter hand lettering practice sheets. Download the practice sheets to your computer and print them out. The practice sheets are located in the resource library which is available to my email subscribers. Not an email subscriber yet? Subscribe below. If you prefer to work digitally, download the JPEG version of the practice sheet file onto an iPad Pro. Since the files come as a zip file, you will need iZip app on your iPad Pro in order to unzip the folder. Once the folder is unzipped, save the JPEG file to Procreate. Then, use either the monoline brush or the script brush (both free) to trace over the letters. Don’t forget to create a new layer for your lettering so you don’t disturb the original JPEG file. Check out this post for how to hand letter on the iPad Pro.